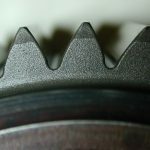 There is a long list of factors to consider when heat treating gears. Here is an in-depth examination of those variables that will help you minimize distortion during the process. Power transmission gear manufacturing for critical industrial applications (Figure 1) requires an understanding of many factors, including both heat treat process-related variables (pretreatment, load arrangement, process selection and technique, quench considerations, and equipment design) and the various component-related variables that influence distortion (material chemistry, hardenability, part geometry, design considerations, and steel quality). 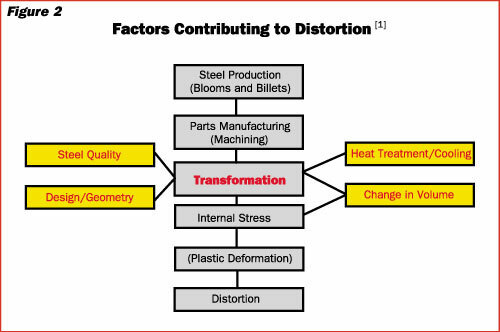 Of these factors, those resulting from transformation during heating and cooling (Figure 2, page 28) produce internal stress/strain induced by volumetric changes due to these transformations and result in localized deformation and general part distortion. Part design/geometry, steel production methods, and steel quality are important as well. The shape of the part, or the “design geometry,” dictates to a large extent the post heat treat distortion results. Most often this parameter is fixed for a given application. Steel production methods and steel quality, including cleanliness (inclusion level and distribution), Jominy (hardenability over a given range), grain size, and tramp element percentages also play a significant role. When a precision machined gear is put in a furnace, raised to austenitizing temperature, carburized for an extended time and then quenched to produce a martensitic microstructure, distortion is unavoidable. There are, however, ways to minimize and/or control the amount and type of distortion, making it more predictable from part to part and lot to lot. 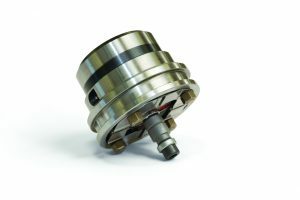 As a result, machining processes can be developed which will consistently yield gears that meet the design requirements, both dimensionally and metallurgically. A common misconception by designers unfamiliar with these effects leads to adding more stock and specifying a deeper case depth in an attempt to compensate for part distortion. Not only does this add cost, but post grinding operations will result in the unintentional removal of some or all of the “depth of high hardness” (that is, that part of the case where the hardness is 58 HRC). Thus the best part of the case, whether atmosphere or vacuum carburizing is specified (Figure 3), is being sacrificed. Irrespective of the effective case depth specified, for a given geometry and loading arrangement, heat can only be removed from the part by the quench medium at a fixed rate. This means that even though the depth of 50 HRC may be greater if a deeper effective case depth is specified, the depth of the surface layer where the hardness is Ñ 58 HRC is not proportionally deeper and, as a result, excessive grinding sacrifices surface hardness. A necessary first step in the heat treatment process involves “normalizing,” a process designed to present a homogenous microstructure to the carburizing process. 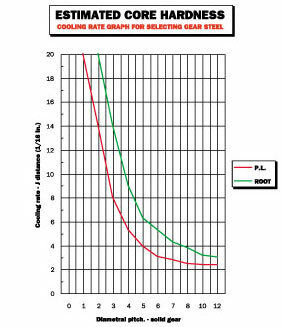 To reduce overall part distortion, it is highly undesirable to have this homogenization take place during the carburizing cycle of a finished gear component. A separate normalizing cycle removes the problems associated with pearlite and ferrite segregation. Ferritic areas do not transform to the same hardness and stress levels as pearlitic areas when homogenized during the carburizing cycle, resulting in more–not less–distortion. Normalizing is a process that involves heating a part above the upper critical temperature and then typically air cooling outside the furnace to relieve residual stresses in a gear blank and to aid dimensional stability. Normalizing is often considered from both a thermal and microstructural standpoint. In the thermal sense, normalizing is austenitizing followed by cooling in still or slightly agitated air or nitrogen. In a microstructural sense, the areas of the microstructure that contain about 0.8 percent carbon are pearlitic, while the areas of low carbon are ferritic. A normalized part is very machinable but harder than an annealed part. It also relieves any residual stresses present from the steel making and forging processes that could cause later distortion during carburizing. A good normalizing cycle consists of holding the rough material “at temperature” for two hours minimum, or one hour per inch of section thickness. The temperature should be the same or higher than the carburizing temperature later used. 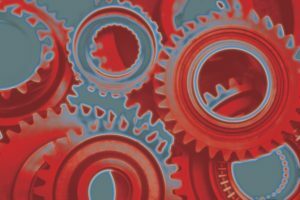 Within the industry, the benefits of normalizing small gears–typically those under 5″ (125 mm) or certain AGMA classes of gears–has been the subject of intense scrutiny and investigation. 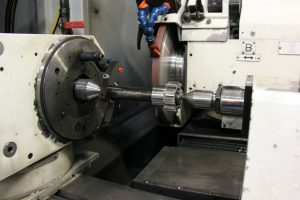 On large gears, manufacturers have been able to demonstrate more consistency and lower distortion which results in a number of benefits (less time in finish machining operations, reduced scrap rates, labor savings) and a reduction in overall cost. 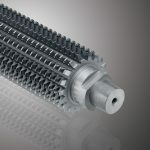 Using a stress relief step during the heat treatment cycle in lieu of a separate normalizing operation for rough machined gears of carburizing grade materials has not been found to be effective. Typically, a cutting tool can impart significant residual stress into a stress-relieved part with a martensitic microstructure if the part hardness is above HRC 30. A softer normalized part with a pearlite/ferrite microstructure will usually not be subject to significant residual stresses since the cutting tool will separate the material along the grain boundaries. One–if not the biggest–factor which affects the distortion of parts is how they are placed and supported in the furnace by the fixturing. Any heat treatment process that requires heating the part to above the transformation temperature causes the part to lose most of the strength that it possesses at room temperature. A part subjected to extended times at elevated temperature, as in carburizing, experiences high temperature creep, and resulting plastic deformation, due to its own weight unless properly fixtured and supported. Single parts are better than stacked parts. If parts have to be stacked, support is important between the layers, especially for thin-walled parts. Also important is making sure that the parts are freely exposed to both the heat transfer medium and the quenching medium. In some instances, fixturing is impractical. In the case of a heavy precision gear, its size may dictate that it be laid directly onto a grid, and if that grid is warped you can expect the gear to attempt to conform to the tray shape during carburizing. Even if the gear is later press quenched this distortion can be difficult if not impossible to correct (if you can get the gear flat again, this still will have affected the precision gear geometry). Furnace trays are often overlooked when trying to find the causes of distortion. As a general rule, if you can see light between a straightedge and the tray, you should not use that tray. Some heat treaters grind the trays flat periodically when there are no other fixturing alternatives. Today, a new generation of high temperature materials has been developed to dramatically reduce dimensional change in trays and fixtures and lengthen useful life. There is no general solution for the design of the loading arrangement for gears. Loading (Figure 4 A,B) depends on the furnace used, the part geometry, and the cooling medium. For example, research has shown that a horizontal loading in carburizing with continuous furnaces and quenching in oil lead to the lowest statistical (average and standard deviation) degree of distortion. In addition, there is a relationship between the length of time a fixture is in use and the degree of distortion. To yield consistent and minimal distortion, there is also an optimum time from furnace to quench to achieve repeatable distortion patterns. If the parts are to be run in different furnaces, the time from heat to quench times must be kept as close to the same as possible. A common misconception is that, when press quenching, all the parts will come out the same. Although the parts are under closely controlled conditions while in a quench press, very often the part is transferred to the quench press manually. This leads to variability due to the differences in operators. A well-designed and controlled robotic transfer system is highly desirable. • Cooling Rate (measured by the efficiency, or “speed” of an oil quench media). • Mechanisms of Heat Removal (largely dependent on part geometry for a given material which dictates the requirements of the quench system). 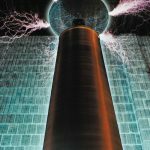 • Properties of the Quench Media (the ideal quenching medium is one that would exhibit high initial quenching speed in the critical hardening range and a slow final quenching speed through the lower temperature range). • Temperature of the Quench Media (this has a dramatic influence on the rate of part cooling). • Degree of Agitation (to allow the stages of cooling to occur as close to the same time as possible at all points on a given part geometry). Oil quenching has been around a very long time and is unique in its ability to cool a part and to be controlled. It is the de-facto standard against which all other quenching media are measured. Oil quenching is used when the hardenability of the steel is high enough to achieve the desired mechanical and metallurgical properties. The reason oil quenching is so popular is due to its excellent performance results and stability over a broad range of operating conditions. Oils are classified by their ability to transfer heat as fast, medium, or slow “speed” oils (including marquench oils). 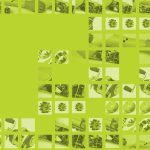 Fast (8-10 second) oils are used for low hardenability alloys, and large cross sections that require high cooling rates to produce maximum properties. Medium (11-14 second) oils are typically used to quench medium to high hardenability steels. Slow (15-20 second) oils are used where hardenability of steel is high enough to compensate for the slow cooling aspects of this medium. All of these oils are used when quenching carburized and carbonitrided parts. It is important to remember that deterioration of the quenchant over time will change the heat extraction rate and must be taken into account if distortion is to remain under control. Quenchants should be tested at frequent intervals dictated by experience and replaced or reconditioned as necessary. Another important consideration is the use of vacuum oil quenching as compared to atmosphere oil quenching. 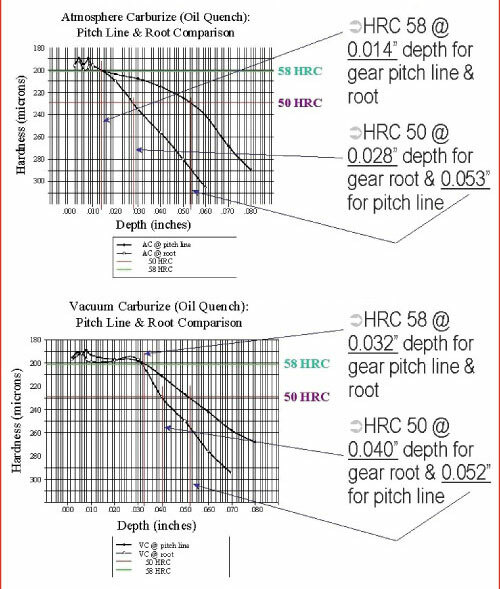 A study of these methods (Table 1) has shown less overall distortion using vacuum oil quenching methods. 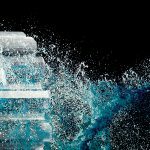 The explanation for this phenomenon,  is based on the kinetics of the heat transfer that is influenced by the type of the liquid and the conditions of contact between the part and the flowing liquid. Additionally, the gas pressure over the liquid can affect the rate of the heat transfer. Reduced gas pressure can lead to a longer vapor phase at the interface between liquid and part and to a more uniform collapse of the film layer (Figure 5). Reducing the gas pressure (from 1 atmosphere to 0.2 atmospheres) led to more uniform cooling rate and subsequently to reduce profile distortion. In highly loaded fixtures the liquid temperature is increased as the liquid flows through the charge, subsequently changing velocity and directions, and can lead to different cooling rates of the parts in the fixture. The result can be that parts at the bottom of the fixture show a different distortion pattern than parts at the top. 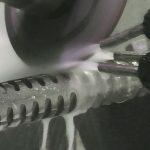 By comparison, the use of high pressure gas quenching techniques has become a popular alternative to oil quenching when hardenability (especially core hardness) permits. Part size, material, and wall thickness all must be considered when gas quenching. The effects on dimensions during hardening can be very severe. After carburizing components can be direct quenched after cooling from the carburizing to the hardening temperature, or they can be slow cooled, reheated, and then quenched to cause hardening to occur. Whichever method is used, the hardening results from the transformation of austenite to hard martensite, which is accompanied by a volume expansion (4.64 minus 0.52 times the percentage of carbon). 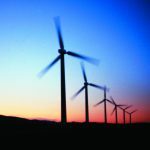 This translates to a linear range of 1.37 percent to 1.53 percent expansion due to differences in the carbon content. In general, going directly from the carburizing to quench yields slightly less distortion due to fewer phase changes to the part. More retained austenite results, but that can be addressed by other means such as cryogenic (deep freeze) treatment of the parts later. However, in certain aerospace gear applications, a subcritical anneal at 1150†F – 1250†F (620†C – 675†C) is performed after carburizing and slow cooling to precipitate carbides and produce a finer structure with less retained austenite after subsequent hardening. The vapor layer formed at the beginning of liquid quenching insulates the surfaces from the oil and slows the cooling rate. During nucleate boiling, despite extremely high heat transfer coefficients, the vapor layer can linger longer in pockets (such as the root area of a gear tooth) and slow the overall transfer rate. As such, this uneven transitory step creates huge temperature differentials and is the major factor in distortion when quenching in these media. Since gas quenching forms no vapor layer, the overall result is lower distortion. It is important to note that the distortion that does occur is therefore different than that produced by oil quenching, and those choosing this alternative must be prepared to adjust their post-grinding procedures. 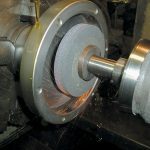 Most heat treaters who use high pressure gas quenching techniques adjust their quench parameters to the part and material being run to yield the lowest distortion while producing the desired properties. In some cases, a material change might also be necessary. Many parts have shown high pressure gas quenching techniques to yield even less distortion then press quenching. Test trials should always be run and dimensions compared before switching. 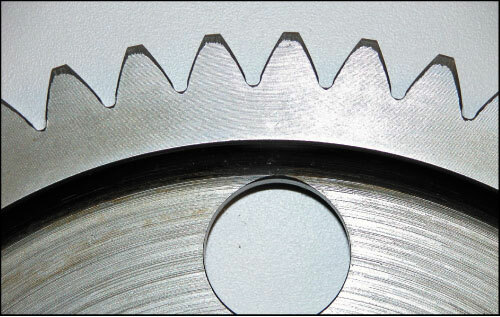 Gears under load are subject to gradient stresses both on the active flank and at the root fillet. 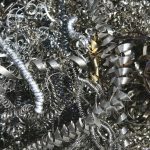 Proper material selection, as well as heat treatment, will produce strength gradients that are adequate to withstand the stress gradients and provide an acceptable margin of safety. In all gears, the choice of material must be made only after careful consideration of the performance demanded by the application. Material choice must be a balance between overall cost and required service life. 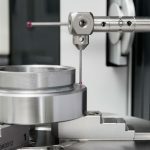 Key design considerations require an analysis of the type of applied load, whether gradual or instantaneous, and the desired mechanical properties, such as bending fatigue strength or wear resistance. The required mechanical properties will define core strength and heat treating requirements. Manufacturing economics plays an important role as well. 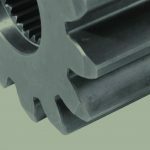 Each area in the gear tooth profile sees different service demands. For example, in the root area, good surface hardness and high residual compressive stress are desired to improve bending fatigue life. On the active flank, a combination of high hardness and adequate subsurface strength are necessary for adequate resistance to macropitting and subcase fatigue. Proper material hardenability selection is critical since, if the material hardenability is too high for the gear tooth pitch size, the result will be more distortion and higher mid-tooth core hardness than is necessary or desirable. Restricted hardenability carburizing steels make distortion more predictable from lot to lot. This should not adversely affect cost or availability of the raw material due to the better steel-making processes now being used by forging and bar stock suppliers. Hardenability (H-band and RH-band) steels incorporate slightly different carbon and possibly other chemistry ranges (Table 2) and hardenability (Table 3); they are generally broader than the standard alloy steels; and they have a more-restricted hardenability range at each Jominy distance. In general, H-Band steels offer a wide range of mechanical properties that depend on the development of tempered martensite after quenching and tempering. 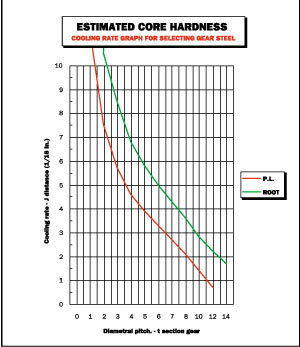 RH-Band steels will exhibit a hardness range not greater than 5 HRC at the initial position (on the end-quench hardenability bar) and not greater than 65 percent of the hardness range for standard H-band steels in the “inflection” region. Generally, the restricted hardenability band follows the middle of the corresponding standard H-band. As an example of the importance of this concept, foreign automakers purchase steel for particularly distortion prone gears with as little as a one Rockwell C point hardness variation throughout the Jominy range. 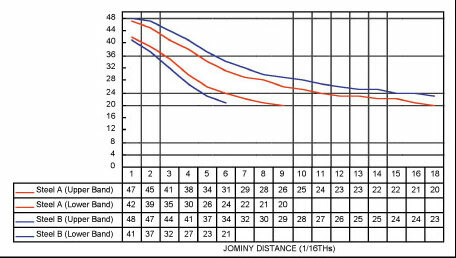 Most gear manufacturers have charts that allow them to select the proper Jominy range to determine which material will yield the desired mid-tooth and root-core hardness in the gear for different pitch gears using standard hardenability information. These charts are available for atmosphere carburizing and oil quenching of gears, and there are some under development for low pressure carburizing using high pressure gas quenching. By way of an example, typical data (Figure 6, Figure 7) can be used for thin and thick section gears. 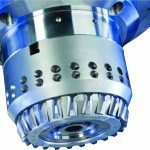 Assume we want to select the most cost-effective grade of material to manufacture gears of four and six pitch, given a core hardness requirement of 30-40 HRC at the mid-tooth. For the purpose of this example, we will assume that Steel A is more expensive than Steel B. If we look at Figure 6, and Figure 7 we determine that, as a function of gear section thickness, a four-pitch gear requires a Jominy value between 4.5 and 5.5. By contrast, the values for a six-pitch gear are in the range of 3.0 to 3.25. From Figure 8 we find that four-pitch gears require Steel A to meet the minimum core hardness, but that a six-pitch gear can be manufactured from the less expensive steel B. Designs with heavy sections adjacent to thin sections or with sharp radii should be avoided since they will almost certainly create distortion issues. The use of as large a radius as possible will greatly reduce distortion. Often a designer can add stock to areas adjacent to thin sections to help compensate for distortion. Another possibility is to design the gear as two separate parts. Finally, the influence of carburizing in the area of holes (Figure 9) should not be overlooked. 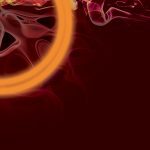 It has been found that selectively carburizing these areas–that is, the use of copper plating or stop off paint–has helped to minimize distortion. By preventing carburization in the area of the holes, the compressive stresses which can “pull in” the gear geometry above it are reduced or eliminated. • Edenhofer, B, Grafen, W., and Muller-Ziller, J., Umgang mit der Verzugsproblematik in der industriellen Warmebehandlungspraxis, HTM 6/2003, pp. 328-335 (in German). • Herring, D.H., Lindell, G. D., Breuer, D.J., and Matlock, B., An Evaluation of Atmosphere and Vacuum Carburizing Methods for the Heat Treatment of Gears, SAE Off-Highway Road Conference, Las Vegas, NV, 19-23 March 2002. • Unpublished research, Twin Disc, Inc.
• Funatani, K., State of Materials, Heat Treatment and Surface Engineering for Automotive Components, Proceedings MTEC and IFHTSE Conference on Heat Treatment and Surface Engineering in the Production of Automotive Components, 27 ‚ 30 January 2003, Bangkok, Thailand. • Herring, D.H., A Review of Quenching Technology, Part One: Factors That Influence Quenching, HOT TOPICS in Heat Treatment and Metallurgy, Vol. 2 No.3, March 2004 Herring, D.H., Sugiyama, M., and Uchigaito, M., Controlling Oil Surface Pressure in Vacuum Oil Quenching, Heat Treating, July 1987. • Herring, D.H., Sugiyama, M., and Uchigaito, M., Vacuum Furnace Oil Quenching ‚ Influence of Oil Surface Pressure on Steel Hardness and Distortion, Industrial Heating, June 1986. • Altena, H., Juric, P., and Stola, P., Gas and Oil Quenching Effects on Gear Distortion, Industrial Heating, March 2004, pp. 45 ‚ 47. • Howes, M.A.H., Factors Affecting Distortion in Hardened Steel Components, ASM Conference and Proceedings on Quenching and Distortion Control, 22 ‚ 25 September 1992, Chicago, IL, pp 254 – 258. • Herring, D.H., A Review of High Pressure Gas Quenching Technology, Part One: The Heat Transfer Coefficient, HOT TOPICS in Heat Treatment and Metallurgy, Vol. 1 No.2, December 2003. • Otto, F. and Herring, D.H., Gear Heat Treatment, Part I & II, Heat Treating Progress, June 2002, July/August 2002. 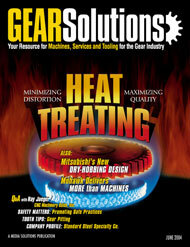 • Herring, D.H., Gear Heat Treatment: The Influence of Material and Geometry, Gear Technology, March/April 2004. • Herring. D.H., Jominy Testing: The Practical Side, Industrial Heating, October 2000.